Artesian2 is the perfect choice for high efficiency and reliability combined with the convenience of self-priming. 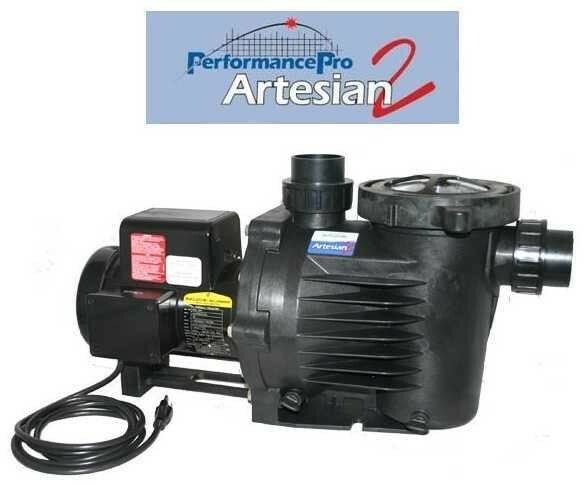 Molded of corrosion-resistant polypropylene.Artesian2 pumps are ideal for applications in which the pump is positioned above the water level. An easy-open Lexan lid provides ready access to the integral strainer pot’s large basket. Out of Pond Use Only! [Blue Sku] is Old Artesian the New Artesian 2 Replaces. Larger Motor and Larger Priming Pot.